This is one of the sessions aimed at the the North Cotswold Deanery and will be held at St Lawrence’s Church, Bourton on the Water, address details are below. 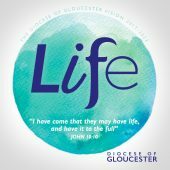 In October 2018 the Diocese of Gloucester will be introducing the Faculty Online System to manage all applications for faculties, List B works (Archdeacons authorisation) and List A works (de minimis). Parishes will be able to submit everything via an online portal, and be able to check on progress, see who is responsible for taking next steps of action and respond to any queries raised during the course of an application. We will be hosting a number of local deanery based workshops over the autumn to which PCC members and clergy will be invited. Details of the other sessions can be found HERE including details for the additional session for the North Cotswold Deanery. During the sessions we’ll have the system available to demonstrate, show you how to register, and answer any questions or queries you may have about applications you’d like to submit. You don’t need to come for a whole session or indeed tell us if you are intending to come along, but if you have particularly complex questions or detailed faculty matters you’d like to talk to us about, please do let us know in advance so that we can try to set some time aside for you, or endeavor to find things out for you in readiness. Even if you’re not thinking about submitting any applications in the near future, we would still recommend that you come along to one of the sessions so that you’re familiar with the system for whenever the occasion arises.